Hey there! Are you ready to plan an incredible trip to Crater Lake National Park?! 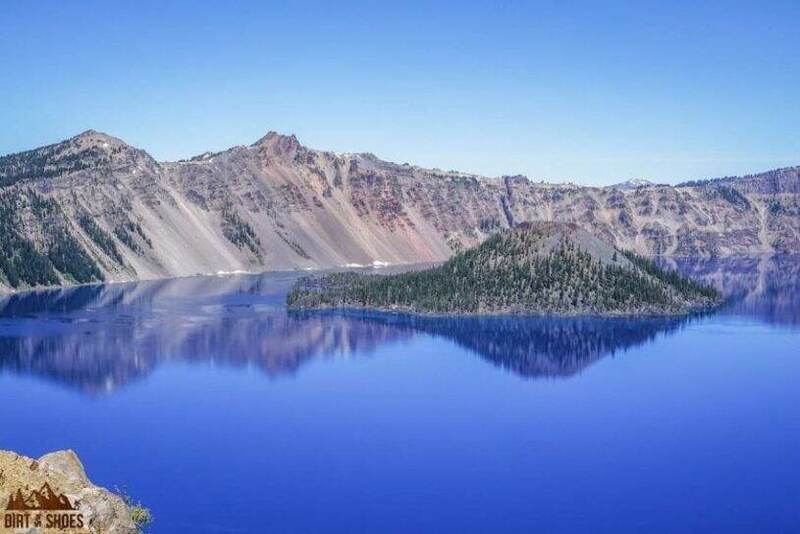 Get ready to see the deepest lake in the United States — you won’t believe how blue that water is! 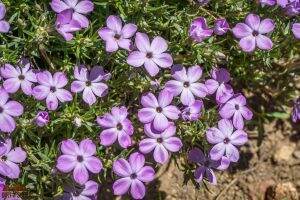 You are sure to find something here that everyone in your group will LOVE. Crater Lake is a place unlike any other — and likely somewhere you will talk about for years to come. It’s not every day you get to see a lake inside a volcano! And at 1,943 feet deep, this unique place will leave you speechless. I’m a former park ranger, and I’ll help you plan your vacation down to the details. I’ve extensively explored Crater Lake National Park and am here to help! Whether this is your first time to Crater Lake, or if you are returning after many years and would like to be reintroduced to the park, this list of 8 things is for you. Crater Lake is one of the snowiest places in the country! It’s extremely common for trails and roads to be closed into July because of lingering snow. For more information on the park’s operating hours, click here. This park encompasses the deepest lake in the U.S. and the surrounding forest area. A fee is required for entry. The NPS website doesn’t include a lot of detailed information to help you plan your trip, but the park newspaper does. There are two campgrounds, two lodges, and three restaurants in the park. To make lodging reservations or to learn more about your options, click here. Plan ahead! Stops with drinking water are few and far between in this park. It’s a good idea to carry extra water with you. Along with not having water, many of the trailheads don’t have bathrooms either. Learn a little about Crater Lake before you go! This is a good place to start if you have questions about the color of the water, how the lake was formed, or the wildlife in the park. I’ll make sure that you don’t miss the most popular sights, but I also want to provide a few treasures that are off the beaten path as well. Let the adventure begin! 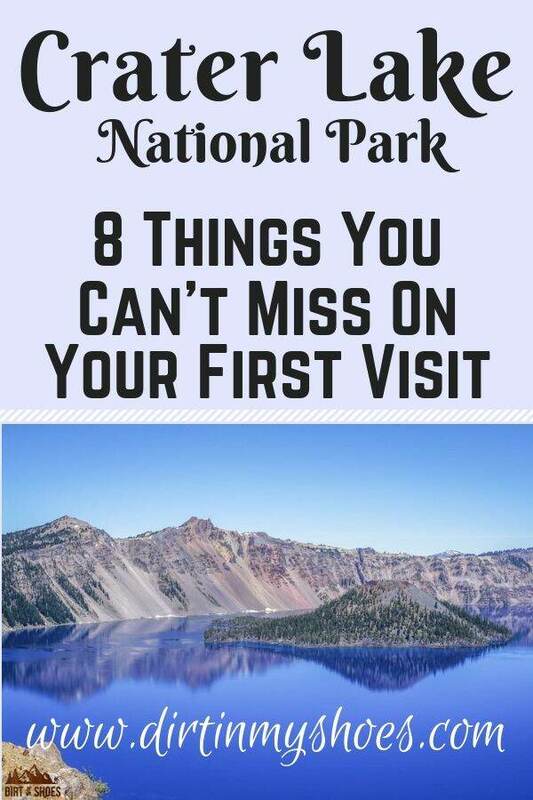 Click NEXT to see this awesome list of 8 things you can’t miss on your first visit to Crater Lake National Park! The pictures are great. We went last year but so much smoke from area fires and settled down in the crater. Decided the. That we would definitely have to go back. Thanks for the post. Oh yeah, that happened this year too 🙁 I hope you’re able to make it back out there sometime soon!